Iowa City-Coralville Hockey Association is an organization run by its volunteers including Board Members, coaches, coordinators, tournament volunteers, and many others. Volunteers are absolutely essential to maintaining and growing ICH. Players reap the rewards of an exceptional hockey program by playing with ICH. As such, the more volunteers ICH has, the better the organization becomes. This policy sets forth the volunteer requirements for hockey families by age group. 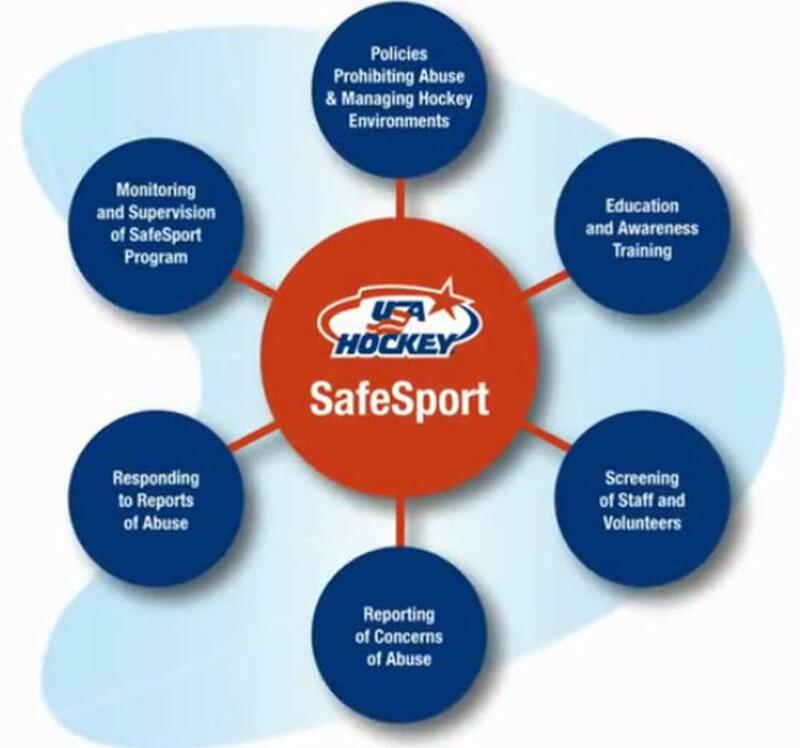 All volunteers are required to register with USA Hockey for the current season, complete a background check and complete SafeSport online training. Background checks are required every year. SafeSport training is required every two years. SafeSport training must be completed prior to the season start and before any on-ice or off-ice contact with players. Register as a Volunteer or Coach with USA Hockey. If you didn't include it with your player's Parent/Guardian information during registration, send your USA Hockey registration confirmation number to the ICH Registrar at registrar@iowacityhockey.com. Include your name and your player's team name (Mite, Squirt, etc.). You will receive an email requesting consent to screen. Complete the consent to screen process (required every year) - see link from email received after step 2. Complete SafeSport online training (required every two years) - see link to the right.